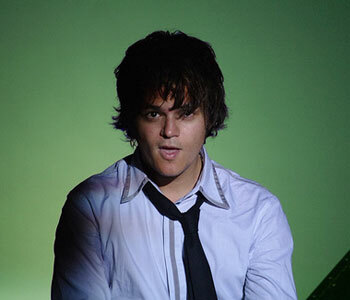 Jamie Cullum Biography, Discography, Music News on 100 XR - The Net's #1 Rock Station!!! Jamie Cullum was born on August 20, 1979, in Wiltshire, ENGLAND, where he began playing piano as a child; by his teenage years, Cullum had become interested in the Jazz sounds of Ella Fitzgerald and Frank Sinatra. He then started to perform in Jazz pubs and at the age 19 self-released his first album; Cullum eventually earned a degree from Reading University in the summer of 2001 and spent a few months travelling and playing around Europe. His 2002 debut for the Candid Records label, "Pointless Nostalgic", which contained the cover of Radiohead's "High And Dry", received a great deal of airplay on British radio stations and his star rose rapidly. The following year, his first major label CD, "Twenty Some-Thing", became the fastest selling Jazz album in U.K. Jazz history and also a worldwide smash selling over 2 million copies highlighted by Jazz standards cuts, self-penned songs and cover tracks including the superb remake of Jimi Hendrix's "The Wind Cries Mary"; in America, the record cracked The Billboard Top 200 chart peaking at #83. In September 2005 Jamie Cullum released with his sophomore set for Verve Forecast, "Catching Tales"; it debuted at #4 on the British Albums chart and reached the #49 position on The Billboard 200. The album, which featured a collaboration with Gorillaz's Dan 'The Automator' Nakamura, was preceded by the single "Get Your Way". Cullum's next studio album, "The Pursuit", arrived well over four years later, in November 2009. The CD, which included the single "I'm All Over It", failed to repeat the chart performance of its predecessors. 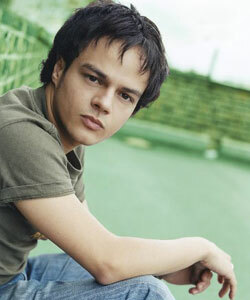 May 2013 saw Jamie Cullum release "Momentum", his first album through Island Records.